Hurricane Sandy just devastated the East Coast this week. Millions of individuals have suffered hardships beyond their wildest imaginations in the flooding and winds that they endured. Many that stayed through the hurricane found out what Gulf Coast residents have long known, Mother Nature is beautiful, but can be horrible at times. My family and I discovered that as we rode out several hurricanes living along the Gulf Coast in Alabama for fourteen years. Now, along the East Coast, people are finding electricity, transportation, and life's daily items that are so taken for granted are now missing and ruining life as it was once known. Yet, despite the hardships being endured, most are moving forward and working to get their lives back to some semblance of normalcy. As the days, weeks, and months progress, today's victims will look back at Hurricane Sandy as a terrible experience, but one that didn't stand in their way of succeeding and getting back to enjoying life as they were accustomed. Normally, I do creative writing of some sorts. This is not a creative writing hub. Instead, it's a music review of a man and his music that tends to soothe the pains of life and take me into a land of recovery. Hopefully he can do the same for many once power is restored, and homes are once again filled with the joys of family. 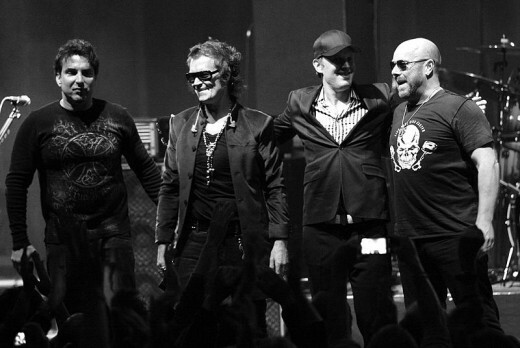 Black Country Communion has just released a new cd called "Afterglow." Black Country Communion ... you've heard of them, right? Many people haven't. Just like the masses that haven't heard of the lead guitarist of this band named Joe Bonamassa. Joe is possibly one of the best, if not THE best guitarist in existence today. He's released ten solo albums and five live albums, along with three live concerts on DVD. Yet, most people still say, "Who?" Joe was born May 8,1977 to a family in New Hartford, New York. Joe's parents owned a guitar shop, which can be a big help to an aspiring guitar player. In fact, guitar playing is in his genes as Joe's the fourth generation to play guitar and travel the musician route in his family. 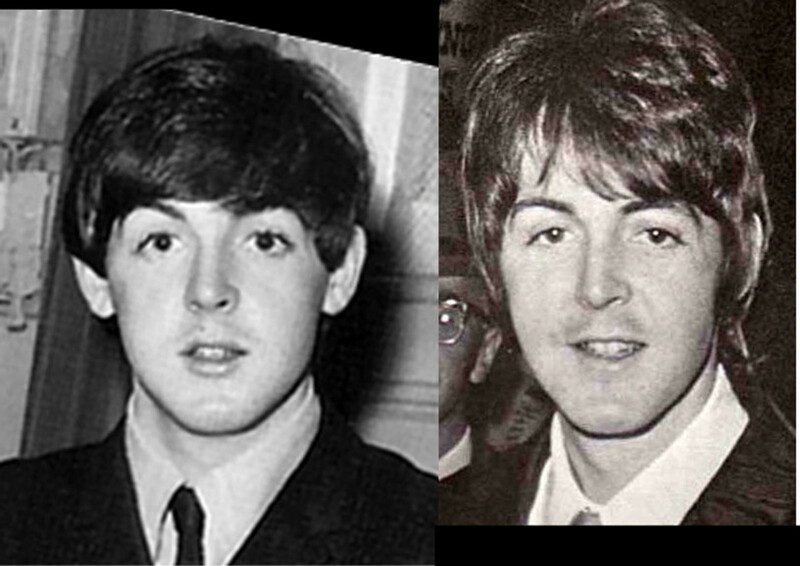 When only four years old, his father presented him with his first guitar. By the time Joe reached seven years old, he was playing songs by Stevie Ray Vaughn, The Allman Brothers Band, and even some Jimi Hendrix. 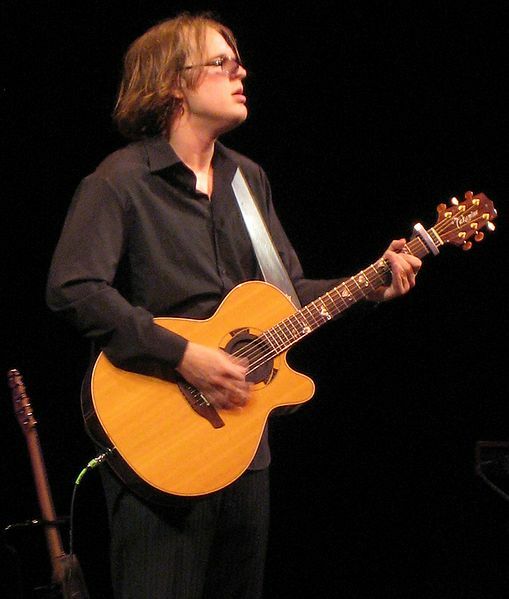 At age twelve, Joe Bonamassa began his professional career as an opener for B.B. KIng, the great Blues artist that most have heard of. Joe remembers playing the guitar behind his neck and atop his shoulders and seeing B.B. watching him from just offstage. Obviously, an interest was born and a professional career was forthcoming. At age 14, he help co-found the group Bloodline, which produced the singles "Stone Cold Hearted" and "Georgia Peach." Since that time, he's played with the likes of Eric Clapton, Foreigner, Buddy Guy, Gregg Allman, Stephen Stills, Ted Nugent, and many, many more tremendous guitarists. In 2000, Joe released his first solo album called "A New Day Yesterday." Name sound familiar? It should as Jethro Tull had a tremendous hit with the song decades before. Critics the world over stated Joe's version put Jethro Tull's to shame. On this album, Gregg Allman, Rick Derringer and Leslie West join in to assist the young man's debut reach #1 on Billboard Magazine's Blues Chart. Predominantly known for being a blues artist, one might find hints of folk, rock, and even a little soul music among his many offerings. He’s created a name for himself by excessive touring, and only producing albums of quality music. This probably explains why his cd’s aren’t as promoted as most. They simply don’t fit into the “trash” category that most of today’s music so easily fits. My personal favorite of his is, “Joe Bonamassa: Live From The Royal Albert Hall.” This was released in 2009. and features songs from most of his solo releases. In viewing the DVD or listening to the cd, you’ll find space jazz, rock, acoustic, and his exceptional blues selections continue your direction for over two hours. In addition, you’ll enjoy the guest appearances by Eric Clapton and Paul Jones. 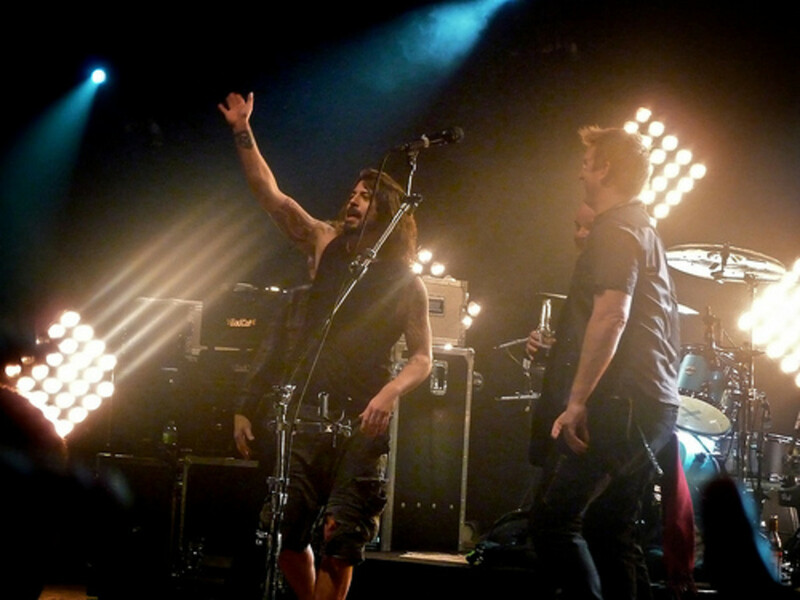 In 2009, Joe teamed up with Glenn Hughes (Black Sabbath, Trapeze, Deep Purple) on lead vocals, Derek Sherinian (Kiss, Alice In Chains, Alice Cooper, Billy Idol, Planet X) on keyboards, and Jason Bonham (Virginia Wolf, Bonham, UFO), the son of the late Led Zeppelin drummer John “Bonzo” Bonham, on drums. This alliance formed a supergroup named Black Country Communion. 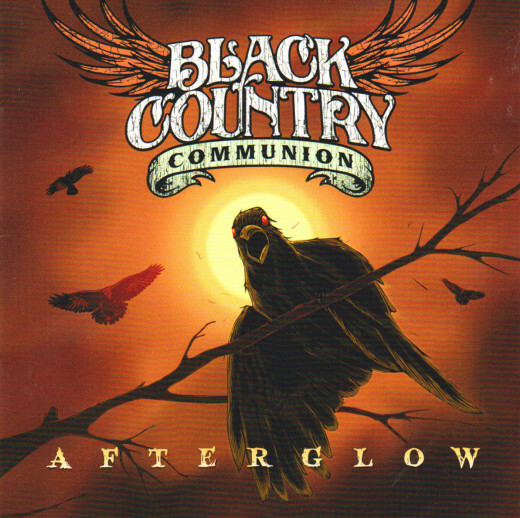 Traveling the more traditional “Heavy Metal” route, Black Country Communion released their first album in 2009 called “Black Country.” In 2011, “2” was released, in February of 2012 "Live Over Europe" (a live release) came out, and on October 31st, 2012, “Afterglow” hit the record stands. All have gained a limited following as the music leans itself to the "Dio/ Black Sabbath/ Whitesnake" heavy rock sounds of times past. I love the music of Black Country Communion. However, not being particularly fond of Glenn Hughes’ voice, I tend to believe Glenn’s shrieking would be better replaced by a vocalist with a much lower range. Many will like it though, so what do I know? Joe Bonamassa continues release albums and solo tour as well. Last year's late release with artist Beth Hart was more of an acoustic fare that received mixed reviews. Released earlier this year, his latest effort, “Driving Towards The Daylight” carries on Joe Bonamassa’s trademark tradition of quality to which most fans have become accustomed. As music reviewing is only one person's opinion, many will either agree or disagree with what has been shared. To this reviewer, Joe's music soothe's the pain, quiets the rain, and makes the insane sane. My hopes are that he can do the same for you. Joe Bonamassa "Had To Cry Today"
I'm guessing you might be just a wee bit partial since you have the same last name. Family member? Like I said earlier, expand your focus and enjoy others. And , yes, I do, and millions of others (now that his popularity is growing, do believe that Joe is "All That." There's hundreds, if not thousands, that can excel in one genre. Joe surpasses that by blurring the lines of many. You're welcome to your opinion. I have mine. Many Thanks! That's a good version. Sounds like he's an adequate guitar player, for sure. However, let's be real. 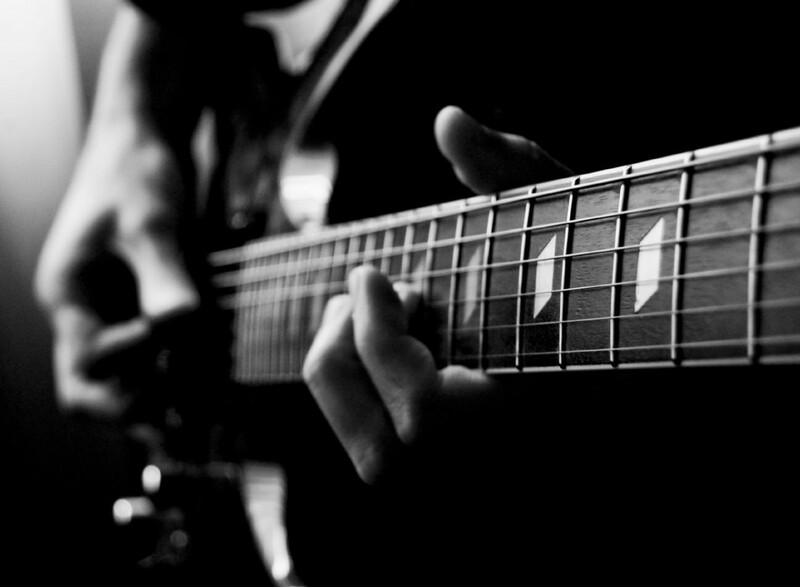 Joe can go from rock to blues to folk to jazz and back before most guitar players can get their strings tuned. I simply say, "Go listen to the Albert Hall cd listed above" and you'll understand better what I'm talking about. I'm glad Soundcloud has you as a fan. Sounds like you really enjoy them. I wish both you and them well. Many thanks! Thanks Daisy and Linda! Greatly appreciated! I came back to read your article again, and to wish you a "happy birthday" on June 10th. So nice of you to visit! 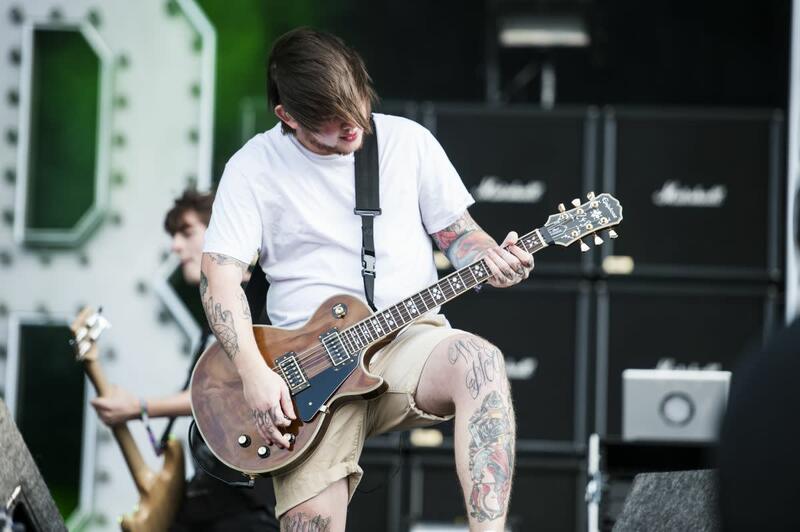 I enjoy a great guitarist, regardless of the genre. Joe's classical offerings demonstrate his true talent, while his blues and rock selections display his versatility to perform any genre with ease. Seldom are guitarists found that can play any type of music. Joe is one of the few. I had the pleasure of being introduced to his music about five years ago. Even though I don't listen to any artist over and over, Joe's albums have such a range of music that one doesn't tire quickly of hearing them. I appreciate your kind comments and thank you for stopping by. Greatly appreciated! Good to see you at this hub! Joe and I first met (musically) about five years ago. I was bored with today's offerings of so called music, and tired of the classics I'd heard for years. A friend of mine had mentioned Joe, so I picked up an album and gave it a try. I figured, "Here's another white boy trying to play the blues. Oh well, there's nothing else worth listening to." Was I ever mistaken. His artistry is magnificent and his skill far beyond that of most of the guitar players I've ever had the pleasure of listening to. I'm glad you enjoyed this offering, and I do hope you'll enjoy Joe's offerings. Btw, thank you for the follow. I'm concentrating more on blogging at present, but I haven't given completely up on HP"s, even though they seem to be making efforts to keep creative hubs (my specialty) hidden from Google, and everybody else. My blog address is located on my profile page, if you're interested in more humor offerings. I do appreciate the comments! Many thanks! I agree with Brian that this is a well documented hub article. Obviously, R. Crumple has been following this guitarist for quite some time and is a dedicated fan. Personally, I'm not into the genre of music cited; however, I do respect the discipline music requires. Up, Useful, Awesom, Interesting, and shared with followers and on social networking sites. I'm glad and thankful to be introduced to the great guitar playing of Joe Bonamassa. This hub is a worthy, well written and presented, tribute. Good of you to visit, my friend! I did participate in a little band in the early 70's that did quite well for a while, but that was many lives ago. Very observant! This was one of my "straight" hubs. Check out some of my comedy ones if you get a chance! Thanks for commenting! Greatly appreciated! 'cellent Hubation! Like the insight, you must have played in bands in the day. Will top by here more often (as soon as my 28 hour watch arrives). Joe's fantastic, to say the least. Glad you enjoy him his playing. Thanks for the comments. Greatly appreciated! Well written hub here. Love me some Joe Bonamassa! Good of you to stop in! He's one of the best, for sure. It's almost as though he's better known in Europe than in the states. Thanks for commenting! Much appreciated! Good of you to visit this hub of the past! Joe really is a great guitarist! He seemed to pick up steam in the popularity ratings for a while as his fans really reached out to the masses, but, without the formula "pop" sound that rules radio today, he remains one of the best kept secrets. Thanks for the read! Much appreciated! Thanks for visiting this piece! 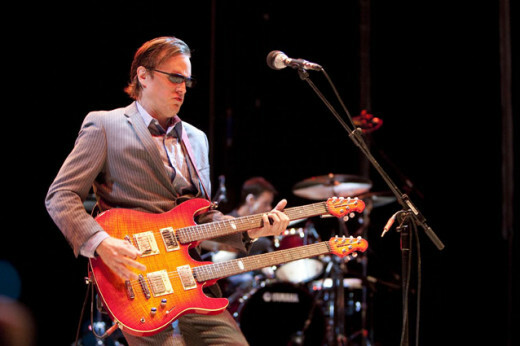 Joe Bonamassa is one of the premier guitarists of our time! He seems to be a master of all styles, but does lean towards the blues for the most part. I'm sure you'll enjoy him! Thanks for commenting and the votes! Greatly Appreciated! A great write and now I have come to know another great artist. Thanks for sharing and voted up. Really good to see you, my friend! Jeff Beck and I have been friends since I first saw him play lead in The Yardbirds in the 60's. I actually have the Ronnie Scott's cd, but not the dvd in my collection, yet. I saw Frank Zappa and the Mothers of Invention play at the Indianapolis Fairgrounds Coliseum in 1973. They had just released the "Overnight Sensation" album. John McLaughtlin (sp) and the Mahavishnu Orchestra was the warm up band. Truly a great evening or music. Lowell George, and Little Feat, have been a favorite group of mine for years. I'm not too pleased with their current line-up, but you've got to learn to go with the flow. John Fahey, if I'm not mistaken, used to use the name "Blind Thomas" in releasing some of his material. Really was a great guitarist, to say the least. Django Reinhardt was a little before my time, but have heard some samplings of his music. Marc Ribot also did a few of Tom Waits albums. I remember him from the "Rain Dogs" one in particularly. Really started to change Tom's direction, as he was almost becoming stale to a point. Carlos Montoya is a legend with the Flamenco guitar. If you're familiar with today's Al DiMeola, especially his "Elegant Gypsy" and "Splendido Hotel" cd's from the 70's & 80's, Al does a great job of using Carlos' style. Andres Segovia is actually in my collection, too. I bought a compilation cd of his one day when Amazon downloads was offering it for .99 a year or two ago. Remarkable classical playing to be sure. The Hawaiian slack key guitar is my weakness here, as I'm not familiar with it beyond an occasional listen in a movie or such. I'm a fan of all of the Kings, and have seen B.B. several times at various blues festival settings. Today, I'm a real fan of Joe, as well as Al DiMeola, Steve Vai, Joe Satriani, Stanley Jordan, David Gilmour, and of course, most of the classic artists (Clapton, Carlos Santana, Elvin Bishop, J.J. Cale, Roy Buchanan, etc.) Music is ever changing, but a good guitarist will live forever! Thanks so for your gracious comments! Greatly Appreciated! I have his double live cd in which I believe is from the Royal Albert Hall - is that right ? Someone at work who knows how much I love music had recommended him to me. 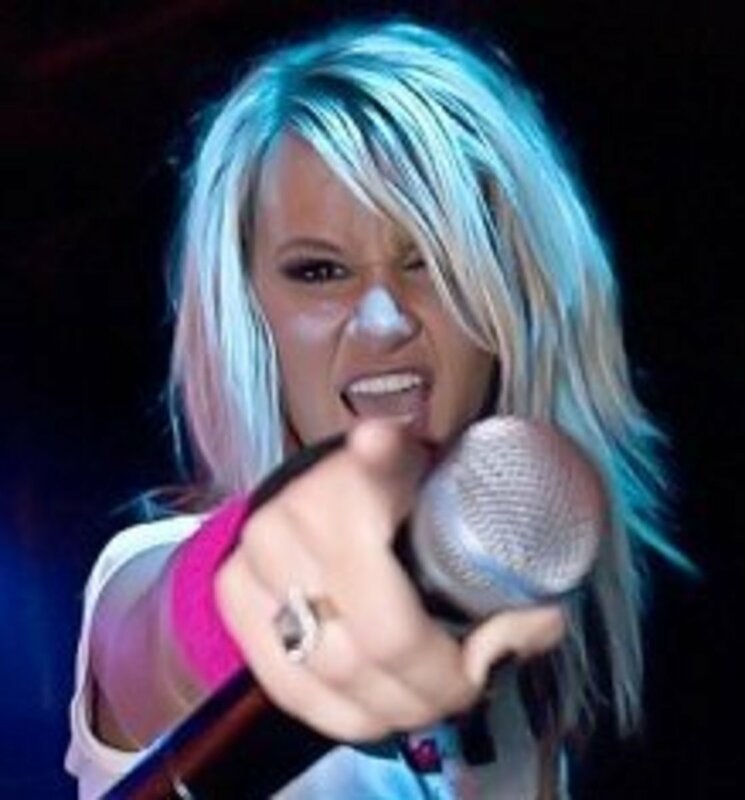 I am a big music fan of all genres and I truly loved you hub presentation here with your passion and knowledge and turning people on to someone who is not necessarily a household name. A lot of my stuff is pretty far out there. Some like it and some don't. I accept that, as nobody likes everything. 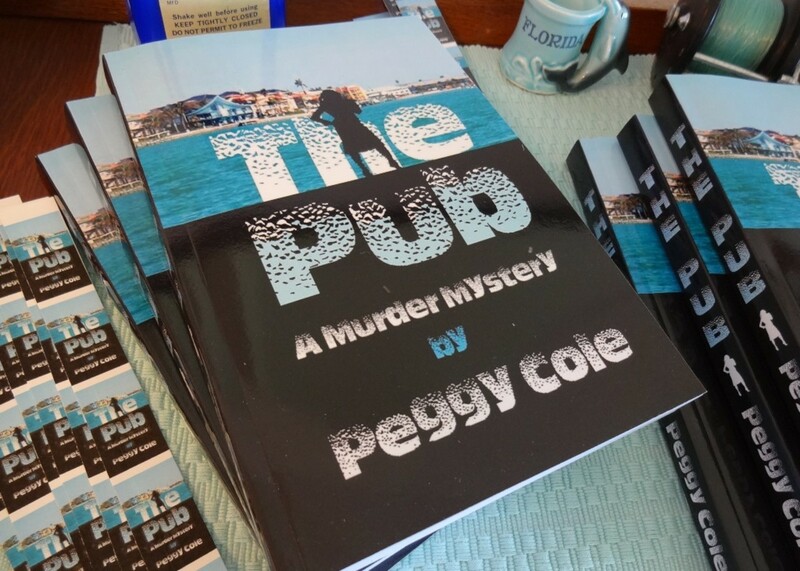 When someone reads my material, I hope they do so for the enjoyment and pleasure. I visit yours because I think you're gifted and very talented, and would if you read mine or not. : ) Your comments and visits are always welcome and appreciated. Many Thanks! : ) Welcome! I need to visit your work more often. You always take the time for mine...I can at least return the favor. Joe is so versatile in his selections, it's really hard to give his productions a genre. "Blues" is his heading and his forte, but he blends so many other stylings into his music that most can enjoy. Glad you liked the first selection! Thanks for commenting! Many Thanks! Great music, rcrumple! Thanks for letting us in on his talent. I love a 'guitar man'!! Some of his music reminds me of my ex-husbands choices and the type that he liked. ; ) But, I do like the first song in your hub. Voted up and interesting. Joe's a fantastic talent, there's no doubt. It time he received some of the fan base that the record companies seem to hide him from. Glad you like this! Thanks for commenting! Greatly Appreciating! I really enjoyed this hub, very entertaining, great information and I love Joe! I'm really happy you agree about Joe. He has been kickin' it for years, and still hasn't gained the following he deserves. Thanks for the votes and sharing! Much Appreciated! I just discovered Joe Bonamassa on the internet last week! I have a special place in my heart for great unknown talent, I hope this one doesn't remain unknown for too long. He is fabulous and totally deserving of fame and fortune. Great hub, voted up and shared. Glad you liked this. Joe is truly a gifted artist. Greatly appreciate the kind words! Many Thanks! A brilliant share rcrumple and thank you so much for sharing. Really good to see you! Joe is a great talent that more need to get familiar with. It amazes me how everyone flocked to Stevie Ray Vaughan, yet, have ignored Joe Bonamassa. Perhaps it's because of his flexibility and versatility. I liked SRV, but a lot of his music had a very similar sound. Joe doesn't fall into that category at all. Thanks for coming by! Greatly Appreciated! Joe is one of the few artists really in touch with music today. You can feel the emotions as he plays, instead of just the moronic dance beat so many of today's so-called music artists provide. I seriously recommend his "Live from the Royal Albert Hall" cd to get familiar with all of his different styles. I've been a music obsessive for too many years. One day, I'll have to take pictures of my stereo room and write a hub about the dangers of compulsive music collecting. lol Hope you enjoy! Really appreciate the kind words. Many Thanks! I'd love to change the title to and leave out "Unknown". lol Joe definitely deserves it. Thanks for your kind comments. Greatly Appreciated! Rich, I love this awesome introduction, would love to just hang out with you and share music...thank you, sweetie. Voted UP and UABI. Irony: The Best Unknown Guitarist if you are too popular that will kill this title. :)) Thanks for the introduction. Rich, music speaks to my soul. It invigorates me, inspires me, soothes me and is me. Bring it on, buddy! Please?! My, I'm going to write all music hubs if they get you this worked up! lol Give Joe a shot when you get the chance. I really think you'll enjoy his offerings as he covers all the bases, and with feeling from the heart. Wouldn't it be nice if we could get back to those days we fought so hard to change? People weren't afraid to stand up for what they believed in, but I guess that's because they weren't all watching Honey Boo Boo back then. Keep it going, lady! I'm with you! Rich, this is the type of hub that sparks me! Music and even more the blues! I've not heard of this artist but when you mentioned he collaborated with Stevie Ray Vaughn and actually played with Eric Clapton, well you grabbed my attention! Not to mention the Allman Brothers, Jethro Tull, and on and on! Holy crap! You are speaking to my soul, my friend! Ah, music is the universal language. Let's get back to it and quit the greedy annihilation path we're burning! Gimme a hippie.! gimme a P - what does that spell? Gimme an E - what does that spell? Gimme an A - what does that spell? Gimme a C - what does that spell? Gimme an E - what does that spell? It spells life my friends. It spells peace and how beautiful life can be if you quit messing with it. Don your rose-colored glasses (I have extras if you can't find any), smell the roses and love your neighbor. Love the earth on which you stand. Come on, America! Stand up and be proud! So good of you to stop in! If I could recommend the "Live from Royal Albert Hall" cd or DVD (Blue Ray), it's well worth the money. I really enjoyed it. My wife and I watched it again last night as I was writing the hub and she even liked it, which is saying something because she's usually pop all the way. Thanks for commenting! Really appreciate it! My husband ran across one of Joe Bonamassa's videos on YouTube and became an instant fan. I'll be sending him this hub. He's going to like this. Thanks for posting. Really glad to see that you're safe! Joe Bonamassa has been a favorite of mine for many years. I thought the spotlight needed to be there at this time for several reasons. You caught what others have missed. I'm humbled you like that. When things get back to normal, give him a shot. I really think you'll enjoy his music. Again, really happy you're okay! Many Thanks! played with Gregg Allman. He had my interested when I read he played along to music by Steve Ray Vaughn and The Allman Brothers. Had no idea you played blues piano. That's so cool. Joe's a really fantastic guitarist who needs to be heard by many more than he is. Glad you enjoyed this! Appreciate the comments! Many Thanks! Great review of a very prolific guitarist. I don't play blues guitar but blues piano...with dad sometimes. Joe is cool. Thanks for introducing us to him. Sharing. Sorry, I've been away from HP's for a few days and have yet to see your challenge. I'm slowly working my way backwards through all the emails I've missed. I'm humbled you would add this to the group, though. I, too, have been a fan of Joe's for many years. He's an absolutely fantastic guitarist whose music should allow anyone to forget their troubles and follow him along his magical guitar journey. Of course, no one can ever sing and play the blues like B.B. King, but Joe's a good choice to at least carry the guitar playing aspect along when B.B. 's playing his guitar up in the sky. Well sir, you sure pulled a rabbit out of your hat with this one. I lived most of my young years with a rather extraordinary guitarist whose idol (for lack of a better word) was BB King. My house was infused with music and musicians for about 20 years. The relationship ended but my love and appreciation for a good guitarist did not. You picked a winner to shine the spotlight on. I've been a fan for quite a while but rarely find anyone else who has ever heard of Joe. When I saw the notification that you published a new hub and I saw the title, I couldn't get here fast enough. What a great journey through his career you have taken us on. "Had to Cry Today" is one of my favorites and was a great way to end this tribute. Great job Rich! And a very thoughtful touch in addressing the troubles of those victimized by Sandy. I am adding a link to my hub challenge and sharing across my networks. Hey Rich, it appears that you aren't the only one still wide eyed at this late (witching) hour. Great hub! I love guitar music like this and can certainly appreciate it. You've done a thorough job with this history and music selections! Shamefully, I am one of those who never heard of him. My 'love' has been Stevie Ray, but Joe is awesome! What talent. Thanks so much. I can picture it now: "Dear Santa..." LOL Take care. Rated up/I/Awesome. Really good of you to visit! Joe is so versatile in his offerings. I've got mix cd's divided by hits, blues, and slow jazz offerings. There have been times I've just driven to the local park and stuck the slow jazz offerings one in the player, laid the seat back, and stared up at the stars relaxing in the lost worlds the music creates. I'm happy your brother and his wife are safe. As we all watch the news, it seems there is a little more organization in getting things straight this time, than what has happened in so many areas devastated by hurricanes in the past. Regardless of the summer home's shape and the frustrations it may bring to the table, at least they have a safe place to live now, and are able to work forward. Many Thanks! Thanks for introducing me to Joe Bonamassa. Reading your Hub and listening to Joe was just what I needed. Thanks for the comments you made at the beginning of the article. My brother and his wife are safe in their primary residence in New Jersey, but they still don't have electricity. Hurricane Sandy first touched land in Point Pleasant Beach, NJ. My brother's summer home is on Ocean Avenue in Point Pleasant Beach. It will be a week before he'll be able to enter the area and see how badly damaged his home is. They're insured, and it's just stuff, but it's still very upsetting. You and your family stay safe and hang in there. Life will be back to normal and this will all be a memory you look back on and can tell the grandchildren about one day! Many Thanks! Wonderful Richard, simply wonderful and I too have heard of him, too. Believe it or not, an ex-boyfriend back in high school days was a huge fan of his and brought back some wild memories tonight!! Great review and loved reading more about this talented musician here :) Have of course voted and shared all over!! So good to see you, my friend! I'm so far behind on hub reading and such. I will catch up, but it may take a day or so. Joe Bonamassa is a tremendous guitarist. I'm really more a fan of his solo compositions than the Black Country Communion ones, but, I keep listening and hoping they'll come around. Going through a hurricane is bad, but trying to get things back to normal seems to take forever. The amount of people this one affected, as well as the damage it caused will definitely makes it a nightmare for many that won't be over quickly. Perhaps some solace can be found in music to give them a small distraction from what they're going through. Thanks for commenting, sir! Greatly appreciated! There are so many hubbers to live in that area of the country. Most have been heard from, thank goodness. It's not how many times we go down, but how many we get up that counts. Thanks so for your kind words! I was just wondering where you had been and up you popped. I'm happy to announce I have heard this musician and he is every bit as good as you say he is. Bravo review and bravo to Joe for his talents. Great job here; more importantly, a wonderful tribute to the victims of Sandy. I have been doing the same thing these past few days. My heart just aches for all this going on and for all the hurting people, and I have just been praying without ceasing. I am so happy to know our fellow hubber and friend Joseph, Lord De Cross is safe. God bless him, as he lives in New Jersey. I have those personal issues too to deal with, as we all do, and we have to deal with them no doubt and need to take time to reflect and look at our lives really good. I am sorry if you are going through a hard time too. You have been in my thoughts and prayers these past days, and I do not know why, but now I know why and I thank you for sharing this with me dear one. You are such a dear and I am blessed to have met you via HP. So really good to see you! I've been remiss in my visiting of HP's over the last few days. Some personal issues and decisions had to be made. Plus, I just needed some time to get my head straight. I feel real empathy for those going through it on the East Coast right now. Some, waiting to go home, may be in their cars just listening to some music to clear their thoughts, also. Hopefully, whatever they're listening to helps them make it through the tough times ahead. Joe is a great talent for one so young, but has demonstrated amazing versatility in styles and talents. Really glad you enjoyed this. Really appreciate the comments! Many Thanks! There you are!!! JOE IS AMAZING BEYOND BELIEF!!! What an awesome tribute. Joe has just blown me away with his talent. My mouth has acutally dropped open!!! Seriously. I have seen Eric Clapton back in the 90's here in Alabama at the Oak Mountain Amphitheatre, and he just blew me away too, but I do not know if Joe was with him then? I love how Eric just came out ON STAGE and started jamming out without all that talking. . . blah, blah, blah, but just rocked out to no end! That was a good night to remember. Whew!!! Thanks for featuring Joe here in this hub. Also, dear one, thank you for your very wise words about those suffering in this latest terrible storm Sandy. I have, too, been through some nasty storms, and it is always amazing how we, as a nation, will come together in these difficult times and help our neighbors and lend a hand to the hurting. Just last year in Alabama we were hit by several tornadoes at once resulting in sheer destruction and loss of life. It was amazing to watch all come out to help their neighbor. We are still a great country to do such. I have been missing you and looking for your latestest hubs, and then just now this popped in. You have made my night dear one. Music is such a great medium to help in all situations to bring a little joy back into one's heart no doubt, especially one as talented as Joe!!! Voted Way Up and stay cool!